Comprehensive eye exams, screening for glaucoma & cataracts, and pre- & post-op LASIK care. We have extensive experience fitting contact lenses and carry a variety of brands. Our large selection of frames includes designer and budget frames to fit your style and price. 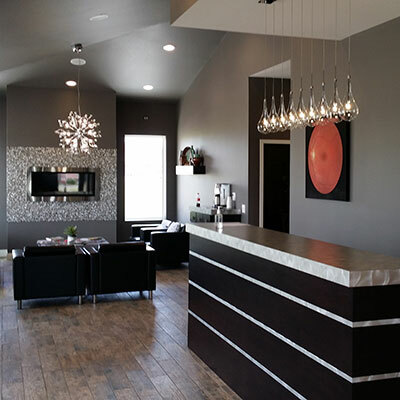 We have a clean and comfortable waiting area for you to wait in after you check in. 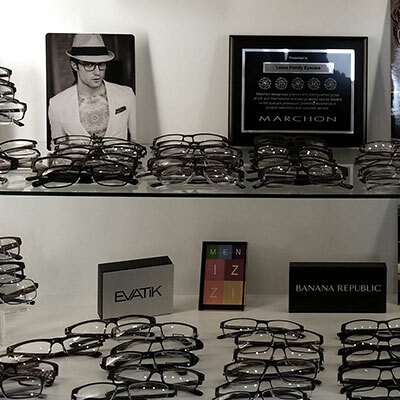 We carry a large range of fashionable eyewear at our office, with styles and prices for everyone in the family. We carry quality products for men, women, and children. Come in to see the many different frame lines we carry! 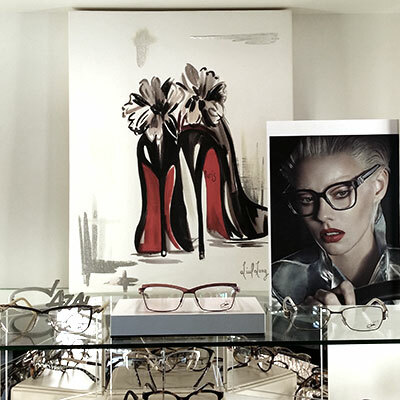 We offer a variety of eyewear for women from brands like Cazal, Jimmy Choo, Liesl Long, Coco Song and more. 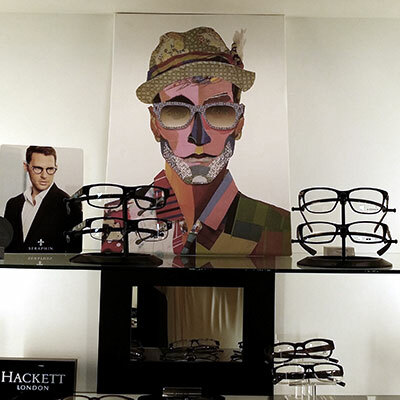 We have a large frame selection for men from Oakley, Seraphin, Banana Republic, Jaguar, OGA, Menizzi, Hackett London, Azzaro, Evatik and more. Our eye clinic offers comprehensive eye examinations as well as evaluations of glaucoma and cataracts. We also have a wide inventory of contact lenses and eyeglass frames in stock, and we provide all major insurance plans. With pricing to meet everyone's budget, our resident eye doctors guarantee only our utmost commitment to your vision. Our services are available for Monday-Friday and Saturday by appointment. Medicare B (a common misconception is that Medicare covers “only one eye check per year”. This is not true. After your deductible is met, if you have any MEDICAL condition of the eye, including cataracts, glaucoma, macular degeneration, floaters, dry eyes and other conditions needing treatment, this is covered by Medicare Part B. Depending on any secondary insurance/supplements you have, you may or may not have copays for visits. “Medicare A” only plans (not Medicare B) do NOT cover any eye exams, period. One final note: medical insurance and vision care plans are complicated and constantly evolving. We pledge to do our best to work with your insurance and to bill ethically and professionally. Please be patient with some of those long overdue Explanation of Benefits from your insurance carriers. We do send in all claims within days of your Date of Service. Sometimes the insurance companies have glitches and your statement can become delayed by several months. We have a Keurig coffee bar and free WIFI. We’re located next to Central Market/The Nest with convenient parking, AND MOST IMPORTANTLY FRIENDLY, HELPFUL STAFF! Call Lakes Family Eye Care today for your appointment. In Case of Inclement Weather: Please check our Facebook page for changes to our regular business hours.